Kearney, Neb. 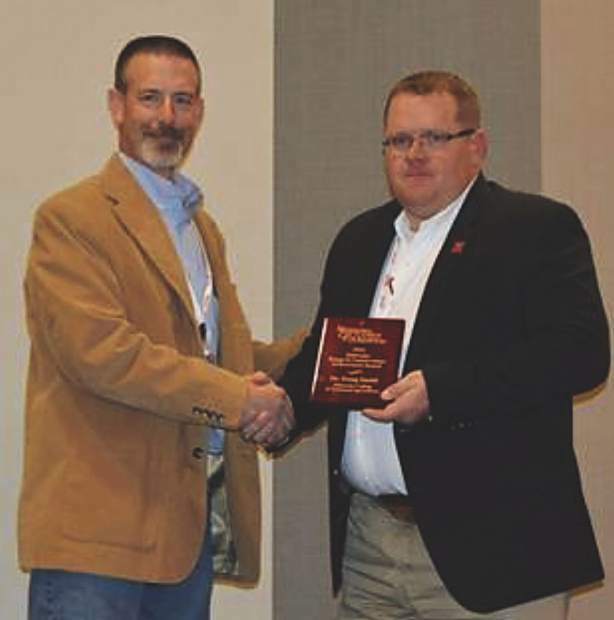 – Animal science students from the Nebraska College of Technical Agriculture in Curtis joined two instructors on stage last week as the Aggies were honored at the 2016 Nebraska Cattlemen conference. Eighteen NCTA students of professors Terri Jo Bek and Dr. Doug Smith attended a Cattlemen’s College, and two-day convention filled with educational sessions, policy and leadership development, and recognition of collegiate programs at three Nebraska institutions. Aggies met with industry leaders and producers, as well as agribusiness employers and mentors. On December 8, Bek and Smith were among honored educators recognized at the NC Foundation luncheon with industry endowment awards presented by Jeff Heldt, NC Foundation president. Bek, who is a fulltime NCTA professor of animal science as well as a licensed veterinary technician, has an emphasis in feedlot management and equine science. 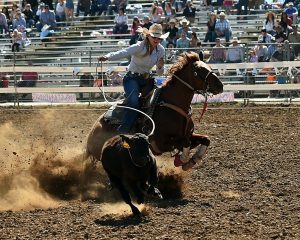 She serves as faculty adviser for the Collegiate Cattlemen club as well as Women in Agriculture club at NCTA. She was recognized for the third consecutive year with the Nebraska Beef Industry Endowment award and $3,000 grant. Smith is division chairman and assistant professor of animal science and agriculture education. He also serves as the Aggie livestock judging team coach and oversees the 100 Cow Program and Heifer Link herd. He received the Nebraska Range and Conservation Endowment award and grant of $4,000. Both instructors credit students for their drive for excellence and the expanded opportunities realized by NCTA in the past few years of program growth. Bek said her award will go to the NCTA Heifer Link program which allows students in the second year of livestock production and animal science to receive a yearling breeding heifer to start their personal herd. Thus far, six students have earned Heifer Link animals upon their graduation from NCTA. Smith’s grant assists his work with students at the Graves Ranch, an outdoor classroom in Garden County that is used in partnership with the Nature Conservancy of Nebraska. The ranch is a summer grazing location for the NCTA cow-calf herd, and emphasizes range management and conservation programs for hands-on work for Aggie students. NCTA students have the opportunity to participate in statewide conferences such as the Nebraska Cattlemen conference with donor support, as well as travel support from NCTA, said Ron Rosati, NCTA dean.